"ProProfs Project is a perfect online project management tool for executing plans, scheduling and assigning tasks. Creating reports become a breeze with this PM tool." ProProfs Project is an online project management tool which allows you and your team to organize projects, delegate tasks, track progress, collaborate, create reports and much more. It is that perfect tool for all your project management needs. With advanced features such as project calendar, gantt charts, time tracking and invoicing, managing projects cannot get simpler. Whether you are a freelancer or a project manager of a fortune 500 company, ProProfs Project is a tool you need to stay on top of your game and deliver in time. With smart integration options and collaboration possibilities, ProProfs Project is the smart solution in organizing projects, delegating tasks, tracking and creating reports. Whether you are a new guy or an experienced professional, it only takes minutes before you start nailing those deadlines and exceed expectations of your clients. 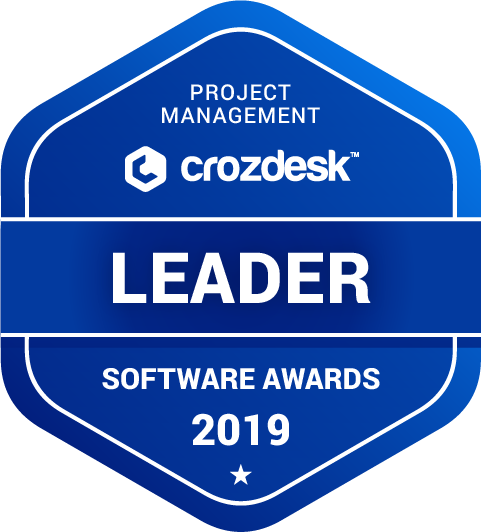 ProProfs Project scored 92/100 in the Project Management category. This is based on user satisfaction (89/100), press buzz (54/100), recent user trends (rising), and other relevant information on ProProfs Project gathered from around the web. ProProfs Project is a web-based project management software solution, which allows users to organize company projects, delegate specific tasks, monitor team progress, collaborate with other team members, create reports and do pretty much any other tasks associated with project management. The online platform is a straightforward and simple to use software solution designed for small- to medium-sized businesses and organizations across different industries. ProProfs Project provides users with complete control over their projects, combining everything and putting them together in one centralized location for easy access and collaboration. What makes ProProfs Project different from most similar software solutions in the market is that it is designed for maximum functionality and flexibility in terms of pricing, ensuring all types of organizations of all scales can take advantage of the product and trust that it will meet their needs and preferences. 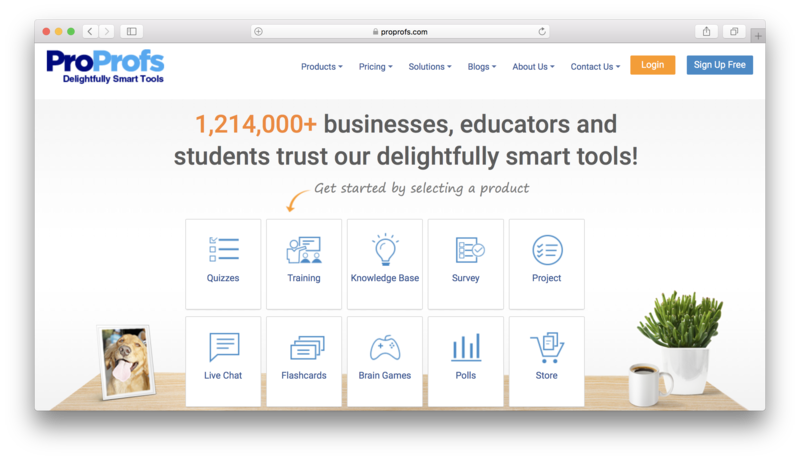 So how exactly does ProProfs Project work? How does it help to enhance project management? With this system in your company’s arsenal, you get a robust and comprehensive toolkit that allows you and your team to manage projects in an easier and more efficient way. You get a platform that comes with reliable features and capabilities to help you complete your projects and meet your deadlines. The project calendar feature allows users to schedule and assign workloads, set deadlines and deliver projects within a pre-set time frame. Collaboration with other team members or colleagues from other departments is easier and much more efficient. Managing tasks and team members have never been this effortless. With the various tools and applications available, your team can quickly and easily communicate with each other. They can share files, information and ideas more effectively. ProProfs Project allows you and your teams to focus on your work, while at the same time help each other on similar or parallel projects. This platform is ideal for disconnected teams or team members who are working remotely or separately. ProProfs Project also provides a detailed overview of the company’s overall health and progress from the perspective of the administrators and decision makers. A clear, well laid out dashboard is available, which provides a comprehensive view of all on-going projects. This makes assigning tasks to teams or individual team members a lot easier than conventional means like using spreadsheet data. The platform also allows users to create task dependencies, set up related budgets and deadlines as well as use an advanced timer feature to accurately measure the progress of each individual task. Using the mobile apps, this functionality will also be available on Android and iOS devices, ensuring you and your team can work productively in the most efficient way possible. ProProfs Project comes with a few key features worth noting. The project management feature offers tools like calendar, interactive Gantt charts, burndown charts, project hierarchy, project templates, scheduling and project dependencies. Collaboration tools include document management, instant messaging, web conferencing and create teams and/or groups. The budget and expense management comes with budget creation and forecast, expense management, hourly rates settings, project hours tracking and staff hours tracking. The task and resource management features include adding recurring tasks, stakeholder assignments, tasks by project grouping, priority settings, resource needs forecasting and user- and/or role-based permissions. Reporting tools are available as well, including custom, financial and resource reports. The notifications and email integration are also covered by the system. ProProfs Project is a comprehensive and robust project management software solution associated with a wide range of productivity benefits and advantages. The platform comes to its users a fully-featured and highly functional project management system with capabilities that fits the needs of businesses and organizations of any size or scale. When you’re working on one or multiple projects at the same time, things can get hectic at times, especially when you factor in a looming deadline. In this scenario, you need a platform that allows you to look at everything, assess every aspect of your project with just a glance. This is what ProProfs Project offers to its users. The software solution essentially gathers all necessary information you need to properly assess projects and put them into one centralized location. For most managers, team leaders and decision makers, a quick look at the dashboard should be all it takes to get a better understanding of the status of their project or projects. Your dashboard should tell you everything you need, accurately and in real-time, including the potential issues and disadvantages lagging the progress of some of your projects. To ensure task assignments are performed smoothly and projects are getting along in a brisk but consistent pace, ProProfs Project enables users to track time and progress through a wide variety of means, from desktop or laptop computers to Android and iOS mobile devices. The platform also simplifies the process of creating task dependencies. ProProfs Project has an impressive collaborative system that allows users to put team members to task in a quick and effortless manner. The system is designed to cater to decentralized teams, connecting them in a way that facilitates the collaboration and productivity of each individual team members wherever they might be working from. With the collaboration system designed by ProProfs Project, teams working remotely from the other side of the globe can easily collaborate with other teams an ocean away. Managers, supervisors and team leaders can assign tasks to each team or each individual team member with ease. They can provide them access to specific data they need to perform tasks, share files, documents and applications as well as communicate with each other instantly. ProProfs Project is a user-friendly project management platform that offers tools that are already familiar to most users. Its design and simplicity speaks a lot to how the approach of the program’s development process. Users don’t have to be extremely tech-savvy or programming experts to take full advantage of this software platform. ProProfs Project offers three affordable plans for small- to medium-sized businesses and large enterprises who want to streamline their project management and take control of their collaborative process. There is also a 15-day free trial available for interested parties who want to learn more about the product. The following are the pricing plans offered by ProProfs Project. Check them out to see which of the subscriptions fit your project management needs perfectly. For more information, visit the ProProfs Project official website or contact them directly for custom pricing. With smart and seamless integration and a variety of collaboration possibilities, ProProfs Project is the ideal project management solution for any business or organization trying to bring together an otherwise decentralized team to tackle projects in an efficient and practical way. If organizing single or multiple projects, delegating tasks, tracking the progress of on-going projects and creating reports are part of your day-to-day processes, ProProfs Project might be the software solution you need. You should check out the platform and take advantage of their 15-day free trial to see if it truly is a project management solution that meets your needs. 4.45/5 based on 11 user ratings. I can finally manage all my projects using one software! What do you like about ProProfs Project? I love how I can use just one software for everything - managing my projects, team, and even tasks! It is all very easy and doesn’t take any effort either. Also, I can track work progress and receive email notifications when a team member tries to contact me - its really helpful in keeping in touch with the team! What do you dislike about ProProfs Project? This software does make really good reports, but it doesn’t have the feature of Kanban View. That really is the one thing missing from this software. 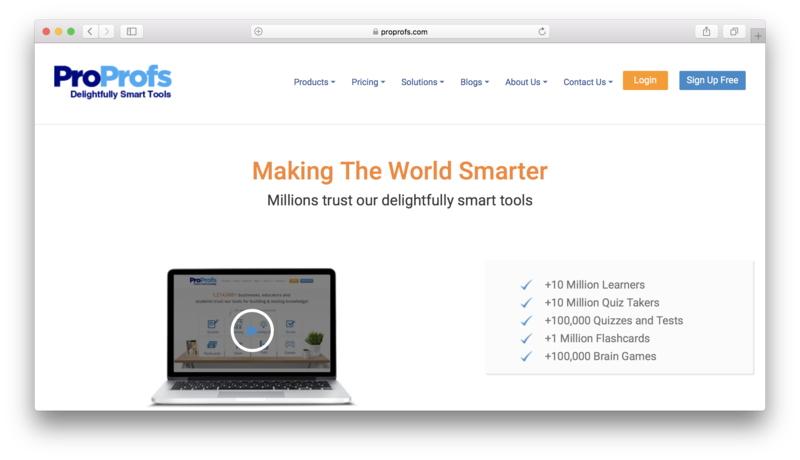 What have you been using it for and what problems did ProProfs Project solve? Mostly, managing projects and my remote team are two things that ProProfs Project really helps me achieve. It was so difficult to keep in touch with my team before I started using the software - but now, with just the app I know what is going on all the time! It’s really cool! Simple, Cost-effective, and Perfect for Enterprise Purpose! One thing that we appreciate about ProProfs Project is its usability. The software is simple and easy to understand. My team hardly took half a day to get through the product and understand it’s features. So it is that easy to work along the product. Another aspect we like is the ease of creating tasks and delegating them. All this and more at pocket-friendly rates. As a user, I believe there is scope of improvement. But as of yet, I haven’t found anything that annoys me as a user. So overall, its a good software that even works well for enterprises like ours. We mostly got the software for two reasons in the beginning, task delegation and report generation. We only got to know about features like budget estimation and invoice generation once we took its 15 days, free trial. Didn’t know the software could manage so many clients too at the same time and that too at such cheap rates. I am a free lancer and I needed a project management tool which would enable me to prioritize my tasks as per the money I was getting. Since I have started using this tool, I can not only prioritize my tasks and clients but I can also calculate my working hours and include all of that in my reports. It is perfect for free lancers like me!